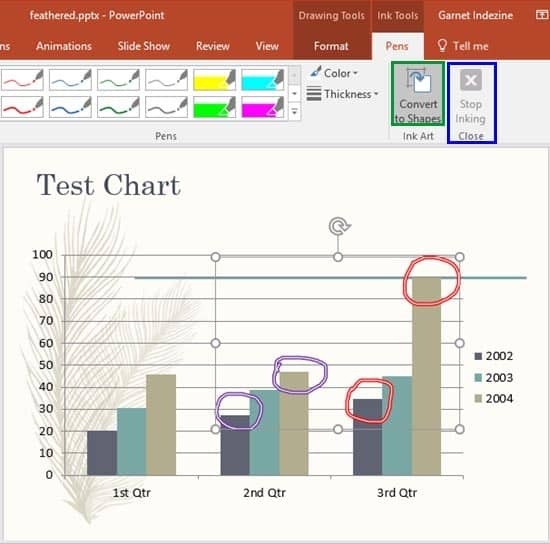 When you use the Pen and Highlighter tools to annotate, you are provided with an option to save those annotations when you exit Slide Show view. If you do opt to save them, then you will actually open doors to new capabilities that will allow you to edit these annotations. In fact, you can also change these annotations to shapes and work more with them!